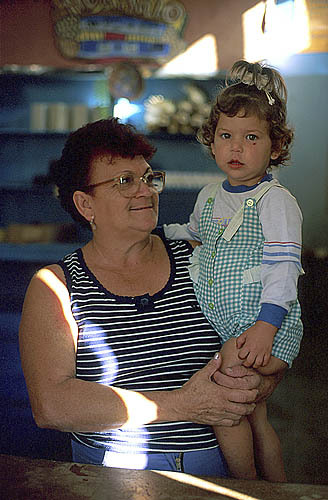 The proprietor of a government food-shop in Trinidad poses with her grand-daughter. Supplies of essential foodstuffs are still distributed according to the communist rationale - each family has a book of vouchers. We hoped to buy coffee to take home, but each shop has a strict quota to distribute and could only spare a tiny amount.